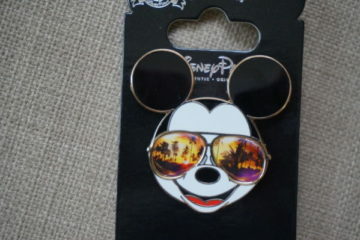 Disney’s Animal Kingdom is a special part of Disney World. It is part theme-park, part conservancy. 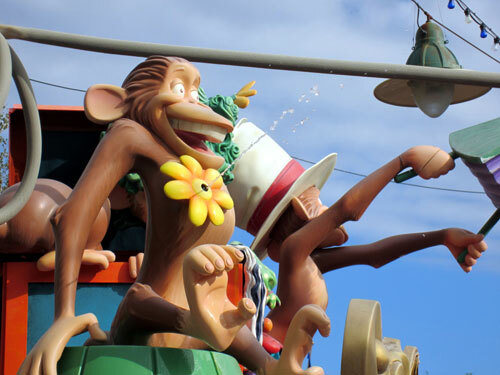 It celebrates animals and cultures, and while this is done through some attractions like Expedition Everest and Kali River Rapids, it is also done through shows that integrate these values with Disney themes and magic. Over the years Animal Kingdom has added more nighttime entertainment in the form of shows to keep guests entertained all day long! Let’s take a look at the shows at Disney’s Animal Kingdom. Upon entering the park, you find yourself in a tangle of pathways known as Discovery Island. This area got its name from another “Discovery Island” that was once an actual island located not far from the Magic Kingdom. 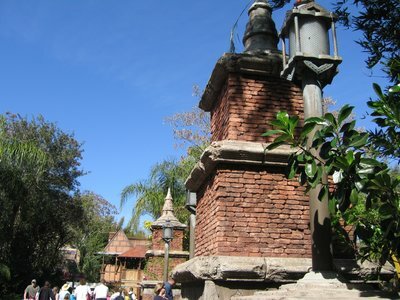 All of the birds on this island were moved to Animal Kingdom, and this show pays homage to this lost area. 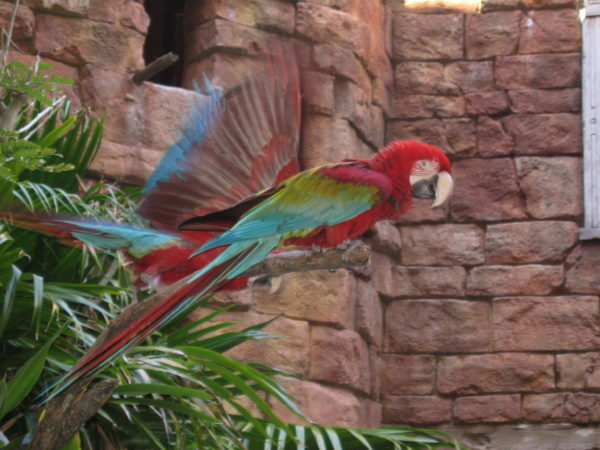 Winged Encounters – The Kingdom Takes Flight shows off the six shades of Macaws, whose wingspan can reach 60 inches! Starting at 9:30am, experts talk about these beautiful birds as they fly freely overhead. Just stop by the Tree of Life every hour on the half hour to see the show! There are some great bird shows in Disney’s Animal Kingdom! UP! A Great Bird Adventure is also a bird show, but you get much more variety here! The amphitheater in Asia provides a nice opportunity for some shade, and guests can learn about all kinds of birds with the help of Senior Wilderness Explorer, Russel, and his canine sidekick, Dug. The Burudika band hosts a street party in Africa throughout the day! Their name, which means “to be refreshed”, explains their music. This high-energy show brings Afro-pop versions of classic hits to Animal Kingdom. I dare you not to dance! Not to be outdone, the Tam Tam Drummers of Harambe also appear in Africa throughout the morning. These drummers play the Congo drums! They are equally fun, and they even look for some volunteers during their 15 minute show! 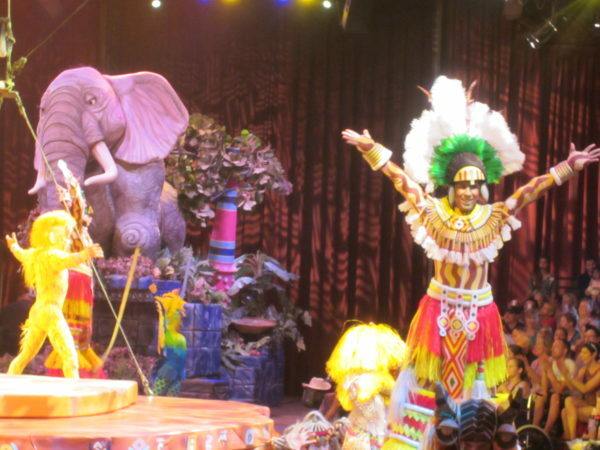 Also in Africa, guests can enjoy a condensed version of a Broadway show. The Festival of the Lion King is a Broadway-quality stage show musical complete with brilliant costumes and familiar songs from the movie. 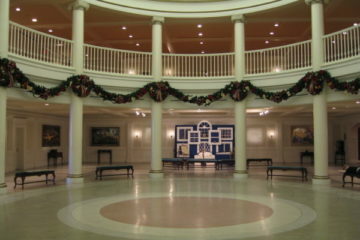 You can see the show every hour on the hour throughout the day. Check your MyDisneyExperience app for showtimes! Festival of the Lion King is a Broadway-style show in Disney’s Animal Kingdom! If you want to see more Lion King, head back over to Discovery Island between 11:30am and 5:30pm for a dance party with Timon and Rafiki complete with a Caribbean style street band, music, dance, and games! This show is brand new this year! The Lion King isn’t the only musical number in the park though. Finding Nemo – The Musical also begins every hour on the hour throughout the day in Dinoland USA. The show follows the story of the movie as Nemo’s dad, Marlin, and his forgetful new friend, Dory, search for him after he’s lost in the ocean. Fun puppets bring this colorful show to life. 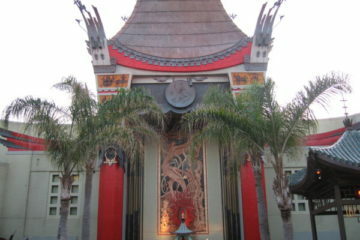 Guests will also enjoy 14 original songs written by a multiple Academy Award-winning songwriting team. Drumming is big business in Animal Kingdom. Even in the mythical world of Pandora – The World of Avatar, you can seen a drum performance. Swoto Waya is a three-person drum band; they perform a Na’vi Drum Ceremony using the massive drums just outside of Na’vi River Journey plus hanging orbs, colorful shells, and more percussion instruments! Also in Pandora, guests can find a Pandora Conservation Initiative Scientist wandering around in a 10-foot tall mech suit. The suit studies the natural effects of the area while the pilot of the suit interacts with guests and discusses the landscape and conservation efforts. The park’s icon comes to life twice nightly during the Tree of Life Awakenings. The show is beautiful, colorful, artful, and inspiring. It’s definitely something you don’t want to miss! 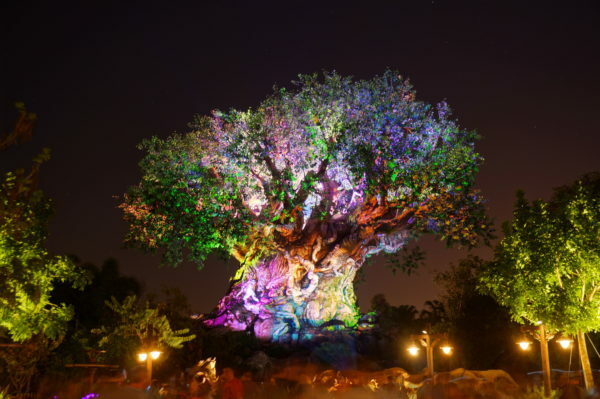 Tree of Life Awakenings are an awe-inspiring nighttime show! Rivers of Light is Disney’s Animal Kingdoms new nighttime show. It is this show that made the park an all-day park. Rivers of Light is 15 minutes long and brings special effects, music, and folklore to life twice every evening. 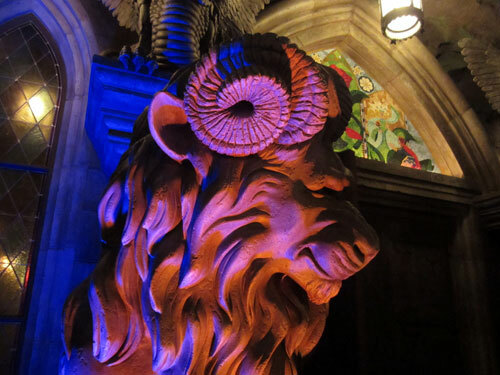 It is unlike other nighttime shows, so don’t miss this one! Which Animal Kingdom Show is your favorite?